Hilton Garden Inn Dubai Mall of the Emirates - the second largest Hilton Garden Inn in the world and the largest outside of America opened last month in the emirate. The property, managed by Hilton Worldwide and owned by Majid Al Futtaim, a shopping mall, retail and leisure pioneer across the Middle East and North Africa, is located close to the shopping and leisure complex The Mall of the Emirates and offers 370 guestrooms. Simon Barlow, chief executive officer of hotels at Majid Al Futtaim Properties, said: "The opening of the Hilton Garden Inn Dubai Mall of the Emirates represents yet another example of Majid Al Futtaim’s continuous investment to improve the overall customer experience at our flagship mall in Dubai." The hotel features a health club, outdoor pool, business centre, and flexible meeting space, catering for up to 80 for receptions. Oliver Kesseler, general manager, Hilton Garden Inn Dubai Mall of the Emirates, said: "We are delighted to open our doors to travellers across the Middle East, Europe and the rest of the world looking to visit Dubai whether for work or pleasure - especially those looking to enjoy Dubai as a world-class shopping destination, given the hotel’s close proximity to The Mall of the Emirates". 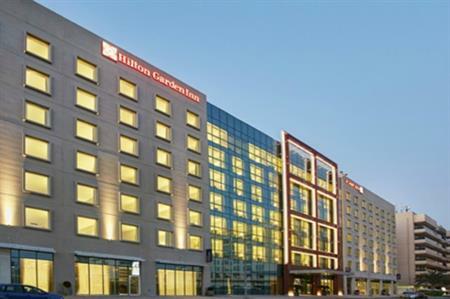 Hilton Garden Inn Dubai Mall of the Emirates follows the recently opened Hilton Garden Inn Dubai Al Muraqabat and Hilton Garden Inn Dubai Al Mina.